"Wait, what?!" was my reaction when I saw the news the BlackBerry maker Research In Motion, or BlackBerry LTD as they like to go by now a days, was releasing a new phone running BlackBerry OS 7. 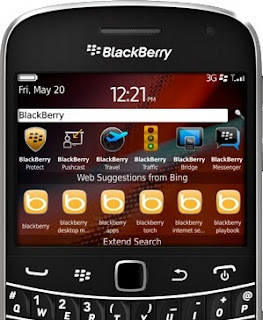 If reports from BGR and Crackberry are correct, the new phone will be similar in design to the BlackBerry Bold series devices, but actually be associated with the consumer Curve family of devices. I want to see BlackBerry do well enough that they can at least stay in the corporate game as their devices really are good at messaging. But I'm having a hard time getting excited about to seeing customers getting excited about a phone running an outdated operating system. The only way I see this working is if this new phone is the new, cheap - as in low low cost - entry level device to "emerging markets." Coming in at north of $300 I don't see the Q5 doing that.